Manchester United have called off their plans to sign Tottenham goalkeeper Hugo Lloris, according to reports in Star Sport. The French skipper has been linked with a move to Old Trafford this summer as a potential replacement for David De Gea, who is still expected to join La Liga giants Real Madrid despite the fact that a fee is yet to be agreed. 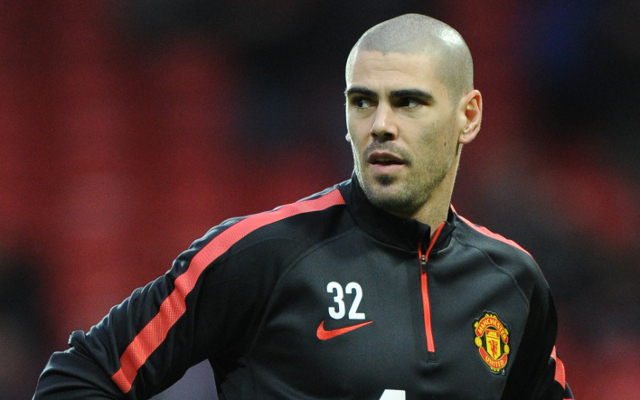 However, United manager Louis van Gaal is set to turn to experienced stopper Victor Valdes to fill De Gea’s boots should he complete a move to the Santiago Bernabeu. Valdes signed for the Red Devils on a free transfer in January [via club’s official website] following his release from La Liga giants Barcelona and was made to wait until the penultimate game of the season against Arsenal to make his long awaited debut for the club. He was then handed his full debut on the final day against Hull City a week later and proved he is still a world-class keeper as he made a number of top saves to ensure he kept a clean sheet at the KC Stadium. It appears that performance has convinced van Gaal to install the Spaniard as his new number one in the event of De Gea’s departure.